Introduction: This project probes into the molecular mechanism of the circadian clock of Drosophila Melanogaster. The circadian clock exists in all living things and regulates the daily rhythm of organisms’ metabolism, behavior, and other outputs that affect the organisms’ development (CH Ko, 2006). The circadian clock is a field that researchers and scientists have yet to fully understand due to the ambiguity of how circadian clock affect invertebrates and vertebrates. To uncover one small aspect of this obscurity, this study seeks to find the effect of sleep deprivation on antioxidant defense in fruit flies. If there were to be a link, the investigation would be significant as the effect will explain how sleep deprivation in humans can lead to the weakening of their antioxidant defense, leading to multiple cardiovascular diseases and pathological conditions such as plaque formation in vessels (Takeda, 2011) (Dominguez-Rodriguez et al, 2009). Circadian Clock’s Molecular Mechanism: Fortunately, although the discovery of the circadian clock functions is still in its infancy, many aspects of the molecular mechanism of the clock have been discovered. 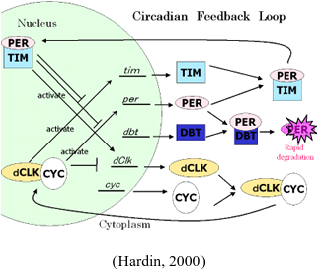 The circadian clock in Drosophila works in a negative feedback loop (Kozhikode et al, 2005). First, the light enters the fly through the photoreceptors that contain the photopigment rhodopsin that is located everywhere on its body (Kozhikode et al, 2005). This triggers the visual transduction pathway to activate CRY protein that regulates the negative feedback loop. Inside the clock are CLOCK (CLK) and CYCLE (CYC) proteins that form a heterodimer by joining at their PAS domain. The heterodimer then binds to the E-box of the per and tim promoter (Kozhikode et al, 2005). Then, transcription of mRNAs of these two proteins, PERIOD (PER) and TIMELESS (TIM), occurs, and the mRNAs are translated in the cytoplasm by the ribosome (Kozhikode et al, 2005). Also out in the cytoplasm exists DOUBLETIME (DBT) that constantly degrades PER (Foster, Rhythms of Life). However, TIM, which is degraded by the light-activated CRYPTOCHROME (CRY), stabilizes PER by forming a heterodimer together (Foster, Rhythms of Life). Finally, the heterodimer enters the nucleus to bind to CLK::CYC and prevents further transcription of per and tim (Foster, Rhythms of Life). This feedback loop occurs throughout Drosophila’s body because the flies possess peripheral circadian clocks, outside of the head, that run independently (Plautz et al, 1997). Antioxidant Defense Mechanism: One crucial biological system controlled by the circadian clock is the antioxidant defense (Beaver et al, 2012). Every living thing requires antioxidant defense because of the damaging effect of oxidative molecules and their ubiquity (Commoner et al, 1954). Reactive oxygen species (ROS) are cytotoxic byproducts of cellular respiration (Missirilis et al, 2001). Oxygen is a prerequisite for living things, but can be harmful to many species when turned into ROS (Missirilis et al, 2001). ROS are highly reactive, and they tear down macromolecules like lipid, disintegrating their structure and functionality, by stealing their electrons. This is usually helpful in cellular differentiation and maturation, but excess in such reaction could lead to oxidative stress. Living things counter this problem with their antioxidant defense. Enzymes involved in this defense are species-specific. For example, Drosophila’s antioxidant enzymes consist of glutathione reductase (GR), thioredoxin reductase (TrxR), superoxide dismutase (SOD), and catalase (CAT) (Missirilis et al, 2001) (Lee et al, 1981). They reduce ROS, or turn them into nonreactive molecules, obstructing the damage potentially generated by these radicals (Chapple et al, 1997). With the help of metal ion cofactors, CAT is involved in converting hydroxyl radicals into unharmful molecules, as shown by the equations below (McCord et al, 1969). If this enzyme does not function, the hydroxyl radical, an ROS, creates a destructive pathway that could potentially lead to lipid peroxidation (Gutteridge, 1984). Without the presence of catalase, Fenton Reaction occurs, and converts hydrogen peroxide into hydroxyl radical. Hydroxyl radicals, known to oxidize every biological molecule, will extract hydrogen atoms from unsaturated lipids, triggering the process of lipid peroxidation (Kanner et al, 1987). The correlation between lipid peroxidation in blood vessel walls and atherosclerosis risk has been confirmed by several studies (Halliwell, 2000) (Ramana et al, 2013). Circadian Regulation of Antioxidant Defense: There have been findings that these antioxidant enzymes have a circadian rhythm, which has been thought to be an important part of the physiological response to oxidative stress in living things (Krishnan et al, 2008). This is important because free radicals have a circadian rhythm of their own (Wilking, 2013). Thus, the circadian rhythm lets the antioxidant defense to interact with ROS at a more precise timing (Wilking, 2013). The circadian clock does this to increase the fitness of an organism by helping the organism prevent future events, such as oxidative stress (Gyongyosi et al, 2014). In Drosophila, there have been previous studies that reveal direct links between PER, CYC, and catalytic and modulatory subunits comprising the glutamate cysteine ligase (GCL) (Beaver et al, 2012). However, there has been little focus on how sleep deprivations, or increase in light time, affect the antioxidant enzyme, CAT. TIM, with the help of PER, is thought to be an inhibitor of the antioxidant enzymes transcription to create a circadian rhythm. If light destroys TIM through the activation of CRY, there will be an increase in the transcription of CAT, or an increase in the strength of overall antioxidant defense. This project seeks to substantiate this claim by showing the impact of elevated CAT mRNA on Drosophila. Conclusion – Significance of This Study: This research ultimately seeks to reveal a link between sleep deprivation and the adverse effects of elevated CAT level. Through Reverse Transcription Quantitative RT-PCR, levels of the antioxidant enzyme and its mRNA will be measured compared to the levels of CAT and its mRNA conditioned to normal daily light/dark cycle to assess if living things can prevent more oxidative damages from the influence of sleep loss. This is significant because many people in the workforce around the world, and even students like us, are facing sleep reduction every day. If the study were to reveal that sleep deprivation leads to a more powerful CAT-catalyzed antioxidant mechanism, it would open up possibilities for new medical breakthroughs in addition to the advances made in melatonin treatments used for sleep disorders (Ferracioli-Oda et al, 2013). 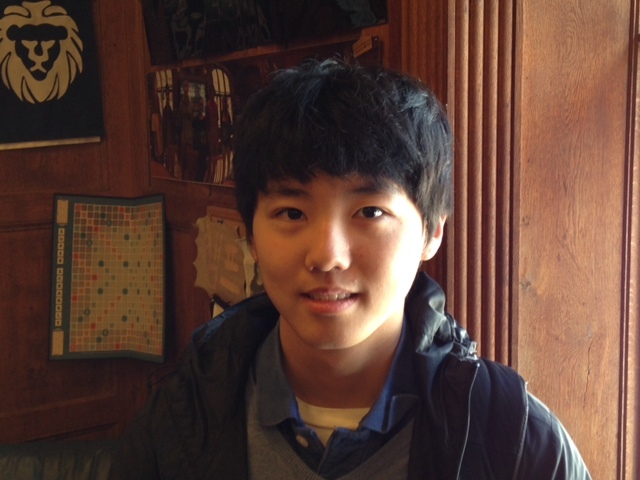 Seung Hwan (David) Baek is a VI Form boarding student from Irvine, California. He is interested in computer programming, stock markets, investment strategies, and leadership ideas. Beaver, L. M., Klichko, V. I., Chow, E. S., Kotwica-Rolinska, J., Williamson, M., Orr, W. C., . .
in drosophila melanogaster. Plos One, 1-8. Chapple, I. L. C. (1997). Reactive oxygen species and antioxidants in inflammatory diseases. Commoner, B., Townsend, J., and Pake, G.E. (1954). Free radicals in biological materials. Treatment of Primary Sleep Disorders. PLoS ONE, 8(5), e63773. daily lives of every living thing. Yale University Press. radicals using complexed iron and hydrogen peroxide. FEBS Journal, 245-249.
circadian rhythm in Neurospora crassa. Antioxid. Redox Signal. 20, 3007–3023. we move forward? Elsevier, 410-418. Hardin P.E. (2000). From biological clock to biological rhythms. Genome Biology, 113-122.
systems. Critical Reviews in Food Science and Nutrition. ; 25(4):317–364. Ko, C. H., & Takahashi, J. S. (2006). Molecular components of the mammalian circadian clock. drosophila melanogaster. Research Gate, 1-224.
oxidative stress in drosophila melanogaster. Plos One, 1-6. Lin, F.-J., & Sehgal, A. (2001). Entrainment of the drosophila circadian clock by light. In M. F.
Holick (Ed. 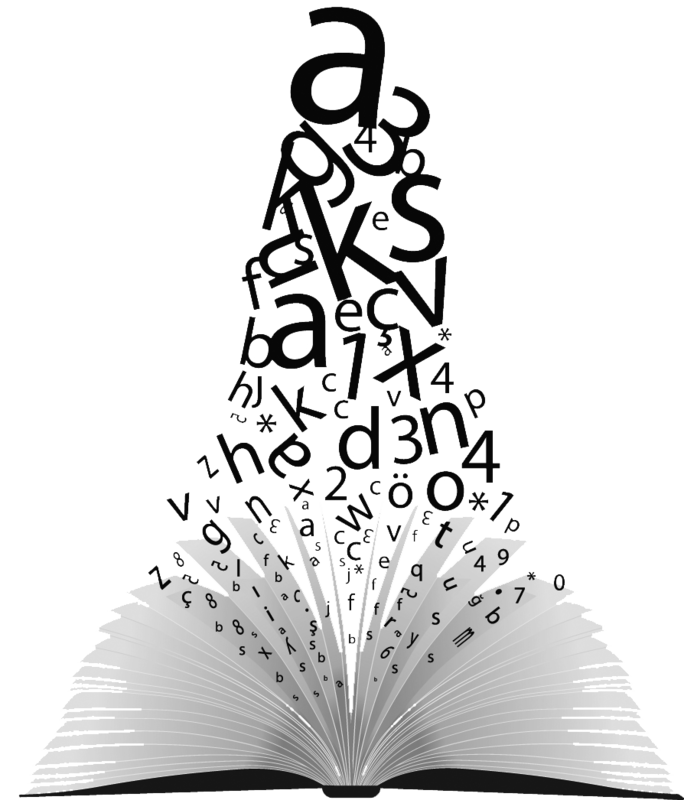 ), Biologic effects of light (pp. 427-435). Boston: Kluwer Academic. erythrocuprein (hemocuprein). J Biol Chem 244: 6049–6055. systems in drosophila. Journal of Neuroscience, 1272-1277.
clocks throughout.Drosophila Science. Science Magazine, 278:1632–1635. health and disease. Hindawi Publishing, 1-3.